Amalfi Coast Gem, Nestled in a Medieval Village ! Property 3: Amalfi Coast Gem, Nestled in a Medieval Village ! 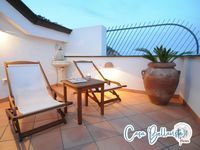 Property 20: Bedebreakfastilys Coast Amalfitana. holiday home on the outskirts of the Amalfi Coast. Property 32: holiday home on the outskirts of the Amalfi Coast. Villa Marina, a panoramic oasis. Property 36: Villa Marina, a panoramic oasis. Holiday House City de la Cava 1394 Room "Monte window"
Property 37: Holiday House City de la Cava 1394 Room "Monte window"
Property 39: Ancient "CASOLARE ULIVETO" near POMPEI / AMALFI Coast!